Electric Car Rentals in New Orleans! Tour New Orleans on your own time in a GEM car! Stop by to see our fleet of Electric Car rentals today! New Orleans, French Quarter, Small Electric Cars, Rentals, New Orleans rentals. Electric cars are superior riding, fun and a convenient way for 2 – 6 people to enjoy New Orleans. Fantastic, all-electric vehicles that are sure to have fun. Now Renting Scooters & Bicycles! 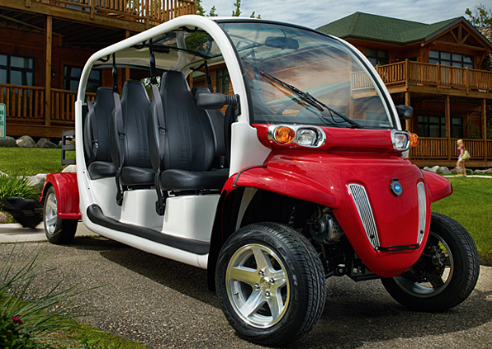 A distinctive alternative to the golf cart, GEM electric cars have the versatility, options and flexibility to handle even the toughest tasks. Fantastic, all-electric vehicles that are sure to have fun. Rent an electric car and cruise around New Orleans today! New Orleans Electric Car Rentals offers both electric fun cars and gas powered scooters. Our electric cars are superior riding, fun and a convenient way for 2 – 6 people to enjoy New Orleans. Fantastic, all-electric vehicles that are sure to have fun. New Orleans is a great city to explore, and the perfect tool to see it is with an electric car. With no doors and airy cabin, seeing the city will be done with ease. Contact New Orleans Electric Car Rentals Today! !